Please notify the office, via the Falcon Ridge Attendance Line, prior to 9:00 a.m. on or before the day your child will be absent for any reason. The voice mail attendance hotline is open 24 hours per day. Failure to call may result in an unexcused absence. If time allows, an email or voicemail letting me know that your child will be absent is greatly appreciated. When your child is ill I want them to focus on getting plently of rest and getting healthy. I don't send home a lot of make up work when a student has been absent. Essential schoolwork your child misses due to illness will be completed at school or sent home when they return. If you know your child will be absent due to vacation please send a note prior to your vacation. I will send home a vacation journal for your child to complete as "homework". We look forward to hearing about your child's adventure as well as seeing any pictures/souvineers they may have to share. Each student will have an assignment notebook to serve as a communication tool between school and home. Each day we write down any homework and other important messages that need to be passed along to you. Parents should check and sign assignment notebooks daily. If your child will be picked up from school please send a note on a separate piece of paper. These notes will be sent to the office. Special efforts are made to let your child shine on his/her birthday! Birthday celebrations will be marked on the monthly calendar. We will celebrate half-birthdays for students with summer birthdays. As part of our district wellness program families are encouraged to consider alternatives to food treats to celebrate student birthdays. Students who choose to bring a treat for their birthday should try to bring an item from the smart snack list/Trojan Treat Menu available on the NPAS school website (npasschools.org, click on District and then the Wellness tab). Please be aware we do have a nut allergy in our classroom this year. We have 26 students and 1 teacher. As always, homemade treats are prohibited and cannot be distributed at school. Alternative ways to honor your child on their birthday are to donate a book to our classroom library or bring other non-food items (stickers, pencils, etc.). Whenever possible, try to distribute birthday invitations outside of school. Teachers are not allowed to give out student phone numbers or addresses. When necessary, students should bring birthday invitations directly to Mrs. Clark and they will be placed in student folders. My passion is helping students develop a love of reading! Did you know that the bulk of our classroom library is built using bonus points from student book orders? You can support our class by purchasing books from Scholastic Reading Clubs (scholastic.com/readingclub) using our class activation code HWT97. Scholastic Reading Clubs offer great books at affordable prices. Each time you order we earn bonus points to purchase books for our classroom library. Parent support with this fundraiser is how we are able to add new and favorite titles to our classroom library. We will have an opportunity to sit down together in November and March to discuss your child’s progress in school. I look forward to working with you to look at your child’s strengths and achievement in 2nd grade. Falcon Ridge embraces the Responsive Classroom approach to discipline. Responsive School Discipline is an approach to creating a school climate that enables optimal academic and social growth in students. Teachers use the discipline practices of the Responsive Classroom approach to support children’s positive behavior and productive learning in their classrooms. We teach and model classroom expectations, procedures, and rules to build a safe and respectful classroom community. Logical consequences including take a break, loss of privilege, and you break it you fix it are used when appropriate. Behaviors including extreme violence, defiance, bringing weapons to school, or vandalism of school property are referred directly to the school Principal. Our school has a school-wide motto of R.E.A.P. (Respect, Effort, Attitude, and Pride). We use these terms frequently and encourage students and staff to demonstrate respect, effort, a positive attitude, and pride in all settings of the school. Our classroom telephones rollover to voicemail during school hours. For urgent messages contact the office and they will relay the message to me. I can also be reached by e-mail. I check my e-mail daily so it is a great way to keep the lines of communication open. In the past our 2nd grade field trips have included a trip to Historic Fort Snelling and a trip to First Bank & Trust in New Prague, both typically happen in May. Information will come home in advance of any field trips. I will let you know if we are looking for volunteers to accompany us. Flip flops are discouraged at Falcon Ridge. Students must have tennis shoes to participate in phy ed and play on the playground equipment during recess. 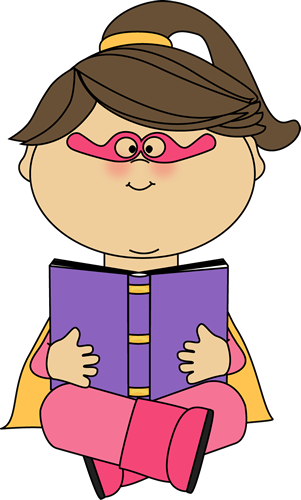 Your child has a HERO (Take-Home) Folder that should be returned to school each day. This is an important avenue for information. Please check and empty your child’s take home folder daily. As a general rule homework will be kept to a minimum to respect family time and allow for participation in activities outside of the school day. My hope is that your child develops a love for reading. I want students to recognize the importance of reading, for learning and enjoyment, at school and home. I encourage students to read at least 15 min. a night. We will not keep a traditional reading log, but we will talk frequently about how reading at home enhances our lives. One way you can foster your child's love of reading is by establishing a family reading time each night. Let your child see you read and take some time to read together! Essential 2nd grade math skills include; mastering basic addition and subtraction facts with fluency, being able to identify the value of coins and count groups of coins up to $1.00, and being able to tell time to the quarter hour. We won't have math homework every day, but occasional worksheets and games will be sent home to practice these and other important math skills. Any chance you have to practice these skills in a real-world setting is awesome! Students will have a weekly spelling list. Words are introduced and a list is sent home each Monday. Words should be practiced at home throughout the week. The final test will be on Friday. All students must take the regular spelling list. Optional challenge words are provided for enrichment. Please let me know if your child has any medical or academic needs that I should be aware of. I will send home a classroom calendar at the beginning of each month. The calendar will include important events and reminders. The Falcon Ridge Blog can be accessed at. Each day during our morning meeting students will recite the Pledge of Allegiance. If you have any concerns about your child participating please contact me ASAP. We will have three holiday celebrations this year (Fall Harvest, Winter Holiday, and Valentine’s Day). Information will come home prior to each celebration. I will let you know when we are looking for supply donations and volunteers to help us. With all of the happenings in 2nd grade questions frequently pop up. Feel free to write me a note, email, or call. The best times to reach me are between 8:00-9:00 A.M. and 3:45-4:00 P.M.
We will have a daily snack and milk break time. Our goal is to enjoy a snack that satisfies hunger, nourishes the brain for optimal learning, and reinforces good eating habits. Healthy snack choices may include; cheese & crackers, fresh fruit or vegetables, yogurt, applesauce, healthy snack crackers, dry (not sugared) cereal, raisins, bagel & cream cheese, or meat slices. We ask that you try to avoid sending snacks such as pop tarts, candy, cookies, chips, etc. Also, please be aware that some classes have students with severe peanut allergies. Whenever possible, try to avoid sending snacks with these ingredients. Please do not send toys/fidgets (spinners, fidget cubes, etc.) to school. For most students they are distraction to learning and can get lost. We have many wonderful things to play with and explore in our classroom. There may be times that students may bring objects (including toys) for special sharing, I will let you know when this is the case. If you feel your child has an academic need for a fidget please contact me. We can discuss a plan that will work for everyone. Throughout the year there will be opportunities for you to visit or volunteer in the classroom. However, unexpected observers can become a distraction to students and the teacher. Please be respectful of this and try to give me advance notice if you are planning to visit. Also, don’t be surprised if you are given a job when you come to visit. Being a participant gives you a much richer experience of the 2nd grade classroom than simply being an observer. I prefer to schedule volunteers so that I can be prepared for you! Make sure you check in at the office prior to coming to our classroom. You will receive a visitor sticker which helps staff and students identify you as a safe person in our building. Check out the Falcon Ridge website at http://soundandfury.info/falcon-ridge.